The Opposition leader said an official apology for the miscarriages of justice and persecution the campaigners suffered would also be made if he took power. Home Secretary Amber Rudd has said she will look at calls to pardon suffragettes but suggested it would be a complicated to carry out. And some have suggested that pardoning the suffragettes would take away from what they achieved through their radical actions. Labour is launching a 12-month campaign to celebrate women’s suffrage and to look at what steps can be taken to end the “grotesque levels of inequality” in society as well as the gender pay gap. The party held its shadow cabinet meeting at the Museum of London, which is holding a year-long exhibition to mark the first women securing the right to vote in Britain. Mr Corbyn told his top team: “As a country, we must recognise and honour the enormous contribution and sacrifice made by women who campaigned for the right to vote. “Many of those women were treated appallingly by society and the state. Convictions of suffragettes were politically motivated and bore no relation to the acts committed. Mr Corbyn said the reforms secured in 1918 were not gifted by MPs. The Representation of the People Act was passed on 6 February 1918 and gave women aged over 30 and “of property” the right to vote. However, full rights for all women to have the vote were not in place until 1928. Amber Rudd stressed it was “complicated” when looking at cases of arson and violence, but promised to analyse individual proposals for pardoning. While many back the pardoning of suffragettes, concerns have been raised that doing so could ‘whitewash’ their radical actions that forced change to happen. Writer Caroline Criado Perez took to Twitter to explain why she felt they should not be pardoned. She wrote: “The suffragettes were not unwitting victims. They deliberately broke the law to make a point. “‘No taxation without representation,’ for example. They were refusing to pay taxes while their voices could not be heard. That was a deliberate point and a deliberate choice. “Pardoning them now whitewashes their radicalism — and that is wrong. They *were* radical. They did break the law. They did so knowingly. They celebrated their war wounded with badges and pins and sashes. The leader of the Green Party in England and Wales, Caroline Lucas, said: “Pardoning suffragettes now is nice gesture, but I worry it erases their radicalism. 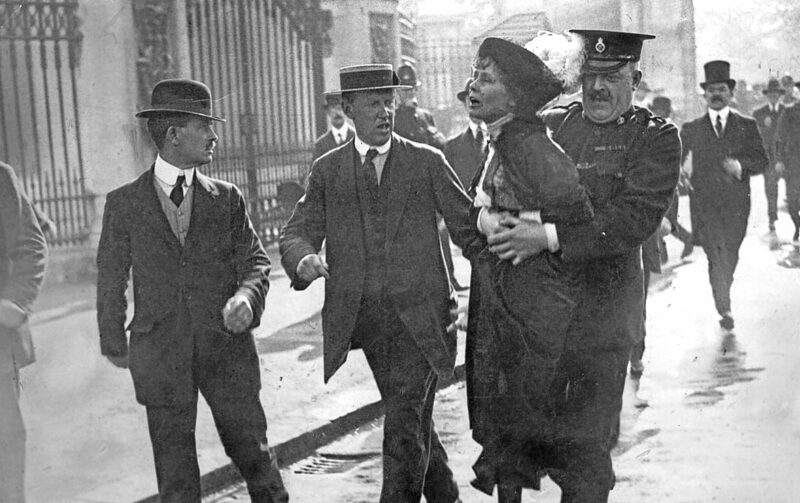 What is a pardon and what would it mean for the suffragettes? The sixth edition of the dictionary also says a pardon is “a remission of guilt: an amnesty is oblivion”, meaning that a pardon forgives the crime and excuses the penalty, but it does not expunge guilt for the offence. If someone is convicted of theft and jailed, for example, but then given a royal pardon, they will be freed from prison but will still have been convicted of the offence. According to this definition, it seems that it would be necessary for the Queen to issue a free pardon in order to exonerate the suffragettes of all blame for their actions. It would seem free pardons have the effect of establishing innocence and overturning a conviction, as opposed to pardons which forgive the conviction but do not overturn it. Press Association legal editor Mike Dodd said: “There does appear to be a difference between a pardon and a free pardon. “The free pardon not merely forgives but forgets. It wipes out the fact of the conviction. “Free pardons for suffragettes would be more tokenism than anything else. “It is now widely acknowledged that those women were treated appallingly and subjected to serious injustice, and made to suffer ghastly cruelty while in prison. “Granting free pardons now might look good, but will change nothing of what happened more than a century ago. “We know they suffered for what they believed in and what was right, and that I think is the greater benefit, and the lesson of history.